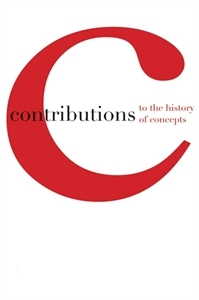 Contributions is the international peer-reviewed journal of the History of Concepts Group (formerly HPSCG). It is hosted and sponsored by the Van Leer Jerusalem Institute. The journal serves as a platform for theoretical and methodological articles as well as empirical studies on the history of concepts and their social, political, and cultural contexts. It aims to promote the dialogue between the history of concepts and other disciplines, such as intellectual history, history of knowledge and science, linguistics, translation studies, history of political thought and discourse analysis.